As a devout wearer of prescription eyeglasses, the Industrious Hygienist is always in the market for safety glasses that can be worn over existing eyewear. The unofficial term is "Over the Glass" or OTG. Unfortunately, this usually means I am relegated to wearing a bulky pair of chemical splash goggles so I look like a mad scientist in a hard hat. Here are some of the less-hideous options available to other safety professionals who must have prescription eyewear under their safety glasses or spoggles. 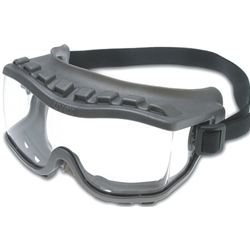 These are the most basic OTG safety glasses and have basic impact protection. No frills. These are more fashionable and have a smoke-colored lens. 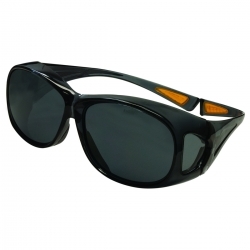 According to the manufacturer, these glasses also meet ANSI Z87.1 requirements, have anti-fog coating, and UV protection. 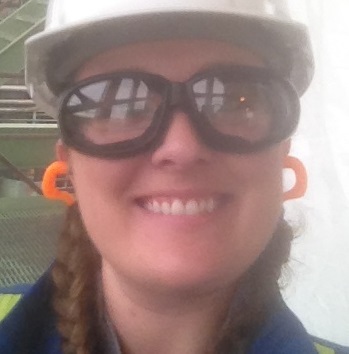 They also add a nice bit of femininity - thanks ERB Safety! Probably going to buy a pair and check them out. 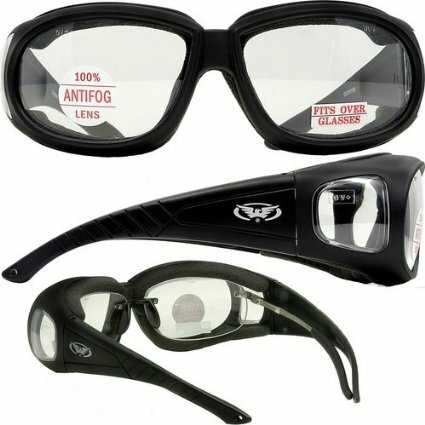 If you're looking for a cheap/economical pair of OTG safety glasses for visitors to your facility, these are a decent option. Although, the visitors will silently curse you when they have to wear these and everyone else gets more stylish and attractive wrap-around glasses. An option is the Uvex Strategy Goggle, which can be used for protection against impact, chemical splash, dust, sand, and debris. These are a decent stand-in for spoggles but do not have the foam lining I have come to enjoy. These also look like they would stick out from your face and draw attention to the fact that you're a four-eyed wonder. This is the less-nerdy option compared the the Strategy goggles above. 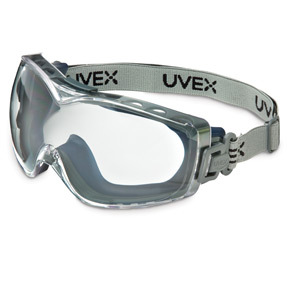 These can be used for protection against impact, dust, chemical splash, and optical radiation (UV and welding radiation). These seem like they would draw less attention but might smush your glasses against your face. Sort of "snowboarder-esque" but look lighter and more comfortable. These could also be used as a stand-in for spoggles. These are the Industrious Hygienist's favorite, and the safety glasses I wear most frequently. They are comfortable, the foam is washable, and you don't look like a ridiculous bug-eyed mook when wearing them. They are ANSI Z87.1 compliant and are officially "spoggles" in my humble opinion. Various lens colors are available. 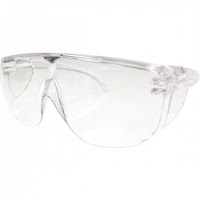 The Industrious Hygienist has no affiliation with any of the companies providing safety glasses, safety goggles, or spoggles listed on this blog post - just a helpful review for other safety professionals who may wear prescription glasses. The Industrious Hygienist hard at work in 2015, rocking the spoggles! Look for more spoggle-related posts in 2016, and the ever-awaited 2015 Holiday Manga in upcoming weeks.